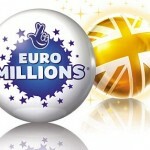 The National Lottery organizes no less than seven lotteries and the draws take place virtually every day of the week. 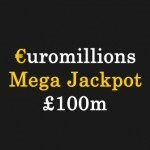 The Euromillions is in a league of its own, because the jackpots it awards count in tens of million Euros and sometimes even exceed €100 million. While this is the flagship lottery and it attracts players from all over Europe, the other six games are just as attractive. Among them, Lotto is the public’s favorite, because it has been around for quite a while and has established quite a reputation. 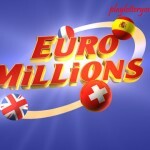 The Euromillions draws take place on Tuesdays and Fridays, which explains why most lottery players choose to buy tickets on these two days. On the other hand, Saturday is the most prolific day for lottery players in the UK with no less than five games hosting draws on this day. 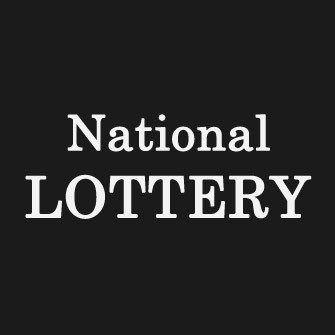 Lotto is one of them withdraws, taking place on Wednesdays and Saturdays, the same days as the HotPicks, Irish lottery, Health Lottery and Lotto +5 draw. 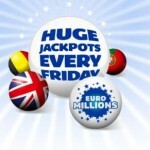 The Thunderball is the exception to the rule, because draws are organized three times per week, with Friday presenting players with an additional chance of winning the jackpot. 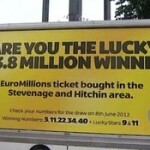 Among all of the aforementioned lotteries, the one that awarded the top jackpot last Saturday was Lotto with eight lucky winners splitting the total prize of £2.2 million. Camelot said that the six numbers were extracted by the draw machine affectionately named Arthur and these were 3, 11, 27, 24, 12 and 7. The eight players who successfully matched all six numbers received £278,365 each, but there were 39 others who settled for the second tier price of £17,569. They matched five numbers and the bonus number, while 1666 of their peers were awarded £257 for matching five numbers without the extra ball. Consolation prizes worth £14 were awarded to 64,000 people who matched 4 numbers, and almost 900,000 received £10 for the performance of matching 3 numbers. Another lottery that players looked forward to playing last Saturday was the HotPicks, because the draw could have awarded a top jackpot of £130,000. Unluckily for those people who purchased lottery tickets for this draw, nobody succeeded in matching all the required numbers. The same happened with the Thunderball draw, only in this case the jackpot was significantly larger, standing at half a million pounds. Players who want to check their tickets for second tier prizes should know that the lucky numbers were 6, 26, 30, 31 and 39, with the Thunderball 12.